When did you first learn what death was? 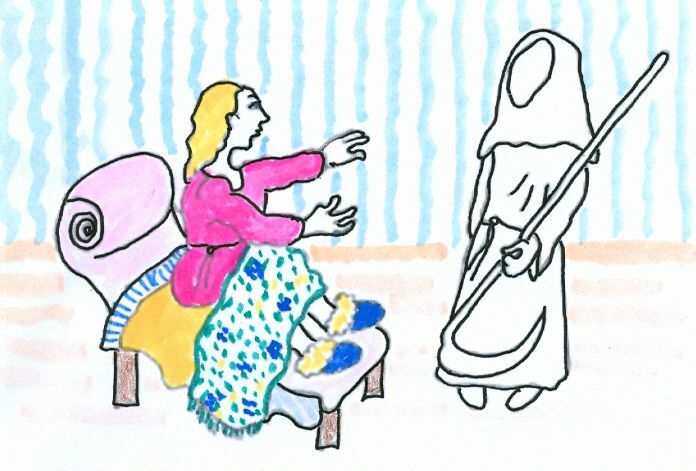 When you heard about someone you knew who died – someone in your family or an acquaintance? Someone famous? When you witnessed the death of an animal or a person? From TV? Or did you intuit what the word meant without any experience of knowing something or someone who ceased to exist? We had goldfish and turtles that died. Of course, flies died in our house, too. My mother showed those flies no mercy. Then Raid came out and we sometimes got caught in the crossfire. I gathered up a baby bird fallen out of its nest when I was around 5. No other bird could be seen anywhere around. I fed the tiny bird, made it a nest in a box, and tried my best to nurture it so it would grow strong and I could release it to nature again. But in a few days it died. I was crushed. Around the same time, my grandfather died 700 miles away. I had known him, but I don’t remember him. My father left as soon as he could but he couldn’t get there soon enough to attend the funeral. I introduced my new book, The Enneagram of Death, at the International Enneagram Association conference last weekend. I think people are interested in having conversations about death, bringing it out of the shadows as much as possible, trying to spread healthy attitudes about a subject our culture tries to deny. At the end of Bambi he becomes a hero by fighting off dogs and saving his girlfriend. Then he gets shot by Man while jumping over a ravine. Eventually he escapes a terrible fire and goes to an island to take refuge with the other animals. He stands watch on a hill while his girlfriend gives birth to twins and the “Great Prince” man slinks away. Our heroes inspire us to accomplish things. to practice succeeding, and to feel strong by identifying with them. Any type can be a hero, but the Asserter has probably internalized the archetype of hero more than most types and might try harder than most to be one. The Perfectionist, the Achiever, the Questioner, and the Adventurer would be heroes if given the opportunity. The Helper would love to be a hero. So would the Romantic and even the Observer could be a hero, not to mention the Peace Seeker. We’d all like to be a hero but have different fantasies of our favorite context for our heroism. 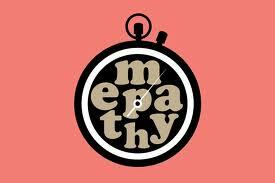 Is Empathy Growing or Slowing? With the emphasis on civil rights and feminism in the past few decades, are we becoming more aware of the way we treat each other day to day? I think we are. The following examples happened a long time ago. I think and hope people are more empathic and sensitive about equality now. What do you think? • When I was growing up in the 1940’s and 1950’s, my father was a scientist. I would occasionally visit him at his workplace. I’d see him figuring out problems on paper and the experiments in the laboratory next to his office fascinated me. I wanted him to explain to me what he was doing but he’d say, “It’s too technical. You wouldn’t understand.” I’m pretty sure if I had been a boy he would have found a way to satisfy some of my curiosity. My best friend’s mother had a PhD in chemistry, but that was rare. In those days, girls almost never studied science. I went on to major in music in college, but I still wanted to know what my father was doing and I asked repeatedly. If I could go back in time, I fantasize, I would take him by the collar and hold him there until he took me seriously. My father was usually a kind person. If society said my curiosity didn’t matter because I was a girl, I wish he could have used his empathy to rise above society’s standard. A generation before, my best friend’s grandparents may have encouraged her mother when she showed an interest in chemistry. • Around twenty years later, some older relatives offered money to one of our young sons for good grades. One of our daughters was in the room. Where was their offer to her? To my amazement, it didn’t come. Why didn’t their empathy trump their belief that only boys matter? This happened about forty years ago. Do things like this still happen? I couldn’t let it stand, so I raised my voice in behalf of my daughter and (it felt to me) all women everywhere and got them to extend the same reward to her. This blog is short because I’ve been wrapping up my book on The Enneagram of Death this week. Write to me on my web site or through WordPress with stories about empathy.